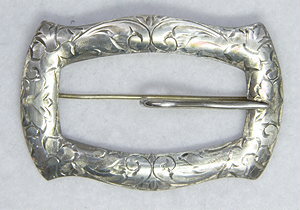 This elegant antique Victorian sterling silver sash buckle is engraved over its entire surface. 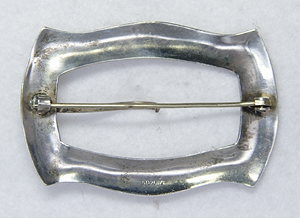 It measures 2 3/4" wide and 1 3/4" tall. Circa: 1880.